This color CMOS night vision bullet security camera is the most popular type of camera for outdoor use. This camera has a great combination with 420 TV Lines, a 6mm lens and up to 30ft illumination range. This combination works great at an affordable price. The camera provides a BNC connection for video and RCA connection for power. Easy installation, just plug and play. 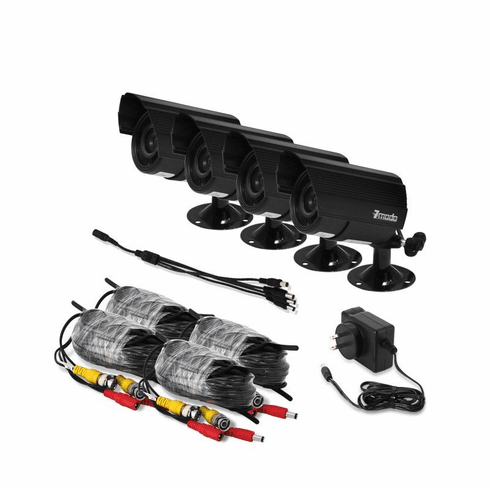 This surveillance camera kit includes 4 color CCTV IR outdoor security cameras, 4 video + power cables and a 12V DC power supply for security cameras.